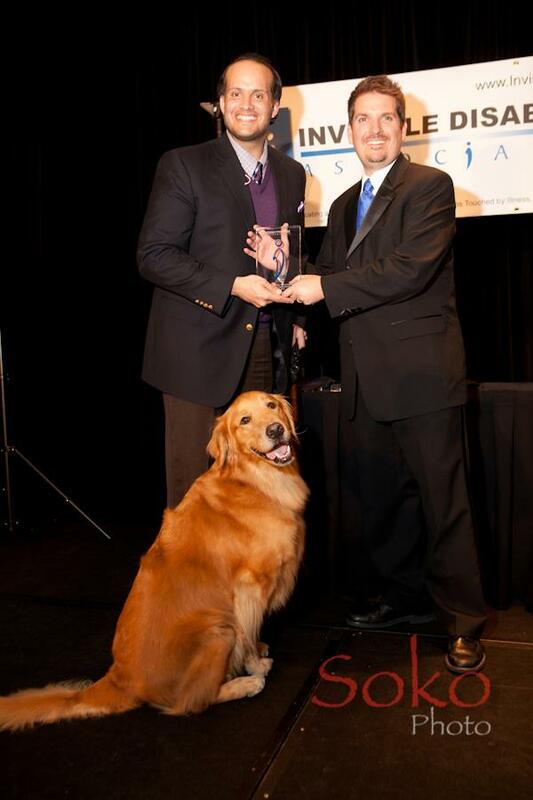 Luis Carlos Montalván was the recipient of the 2011 Invisible Hero Award at the 2011 IDA Honor Awards Banquet. Luis is a 17-year veteran and former Captain in the U.S. Army, where he earned the Combat Action Badge, two Bronze Stars, and the Purple Heart. Luis is the author of “Until Tuesday” which debuted 18 on the New York Times Best Seller List for Hardcover Nonfiction Books and remained on the list for 5 weeks. Luis shares his amazing story of the “war after the war” with invisible disabilities, Post Traumatic Stress Disorder (PTSD) and Traumatic Brain Injury (TBI) and how his service dog, Tuesday, has given him hope and healing. Before Tuesday came into Luis’ life, he was overwhelmed by his debilitating injuries, memories and could barely leave the house due to Agoraphobia. Tuesday assists Luis with his balance, retrieves things off of the floor, reminds him to take his medications, wakes him up when he is having flashbacks, gets Luis out of the house, gives him the unconditional love we all need to give us strength and much more. Luis has been published in The New York Times, The Washington Post, The San Francisco Chronicle, and The International Herald Tribune. Luis and Tuesday’s story has been shared on NPR, CBS, CNN, BBC, C-SPAN, National Geographic and they appeared on the Late Show with David Letterman in July (watch clip on YouTube). Luis is also a recipient of a 2011 VOICE Award presented at Paramount Studios. 12/7/16 NOTICE. 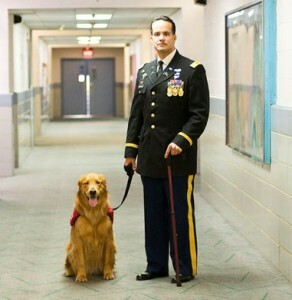 With a very sorrowful heart, we say goodbye to Former Captain, Luis Carlos Montalván, Best Selling Author, Speaker and Advocate for Veterans, PTSD and Service Dogs. He was found in a hotel on 12/2. At this time, the cause of death has yet to be determined. Thank you, Luis and Tuesday, for giving hope to so many around the world! Your message lives on! IDA Founder is interviewed in this video. Much of this video was filmed at the 2011 IDA Awards Banquet. 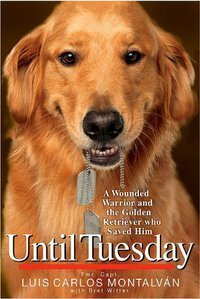 Until Tuesday: A Wounded Warrior and the Golden Retriever Who Saved Him. 2011 Award Photo Courtesy of Steve Sokolik and Soko Photo.